Credit cards offer a variety of forms and inclusions that match people’s lifestyle and spending. Each includes specific conditions and inclusions that you need to follow to access credit. Among the examples of these types are low fees credit card and low interest credit card. Although each card allows you to purchase items via credit, there are specific features that make one different from the other. Here are some distinctions between low fees and low interest credit cards. One of the main difference between low fees vs. Low interest credit cards is the primary purpose it carries. Low interest credit cards are designed to help you fulfill purchasing needs without worrying too much about interest rates. The card offers low interest compared to other standard credit cards. That is why it is a good instrument to consolidate debt or try to make big purchases that offer low monthly minimums. Low fees credit cards, on the other hand, are valuable for people who want to achieve savings in their purchases. The card is appealing to those who like to pay off their monthly dues in full. When you compare low fees vs. Low interest credit cards, it is essential to look closely at the advantages and disadvantage of each type. In low interest credit cards, one of the obvious benefits comes from the ability to make use of its low rates. The approach is beneficial for people trying to pay off debts or transfer existing balance and reduce current costs. 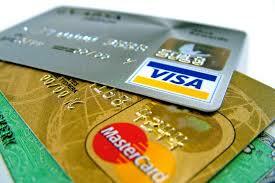 As for low fees credit cards, you get the potential to save money due to lower cost of annual fees. There are also other providers who offer incentives when you settle your payments in full. Some companies offer interest-free days where you can make purchases without added interest. As a credit card user, you should also note that both low fees and low interest credit cards carry specific disadvantages. For low fees credit card, the main drawback is the lack of additional perks and incentives. You can also receive higher interest rates if you missed a payment or settled your dues late. With a low interest credit card, some companies charge high annual fees. There are also additional costs that you can incur when you try to move your balance. There is also the related time frame where you can avail of the low interest rate. Given these potential limitations, it is best to communicate with your preferred provider and clarify inclusions or additional exceptions that you need to know.